Over the past 6 years, we have welcomed 82 IDDEAS Scholars from more than 30 institutions to participate in the IDDEAS Program. 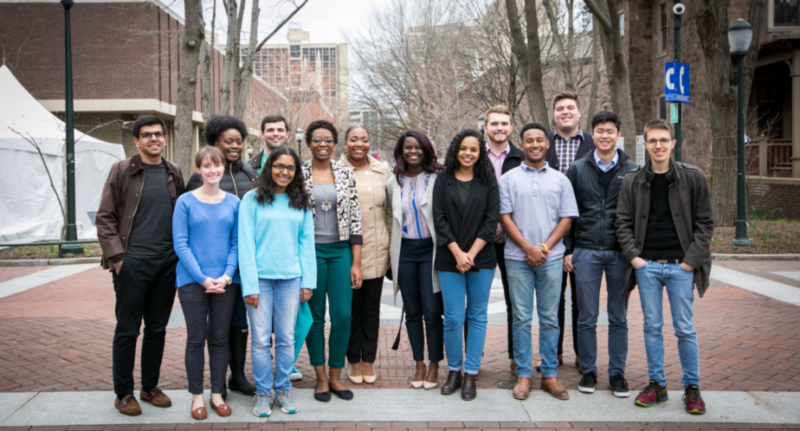 IDDEAS Scholars have gone on to enter top business doctoral programs including Emory University, University of Illinois Urbana-Champaign, Duke University, INSEAD, University of Indiana and the Wharton School of the University of Pennsylvania. Read more below about who they are and what they’re interested in — you might find you have some things in common. 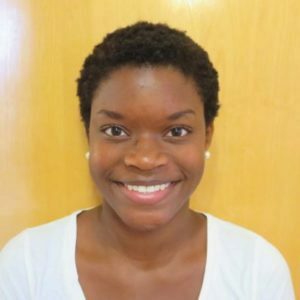 Sade Ayinde is currently a student at University of Maryland studying Development Economics & Policy with a minor in Mathematics. An immigrant to the US at the age of 6, Sade hails from Tema, Ghana. 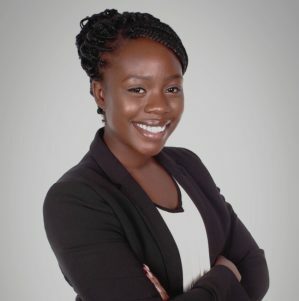 With interests in microeconomic development and sub-Saharan Africa, her previous experiences includes several undergraduate research assistantships, participating in Princeton University’s Junior Summer Institute, completing an internship at Department of State and many more. 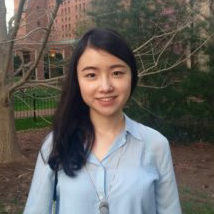 She applied to IDDEAS to engage with UPenn Faculty in their current research. Ideally, she’d like to have a career with a multidimensional perspective, where she can see herself as an educator, academic and practitioner. During the IDDEAS program, she hopes to get first-hand perspective and advice from Faculty members, current PhD students and fellow peers about different paths to take in development economics. 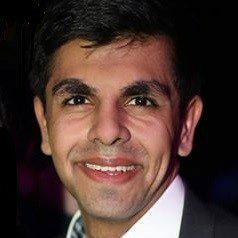 Malik is a senior from Pakistan, pursuing concentrations in Finance and Statistics from the Wharton School. 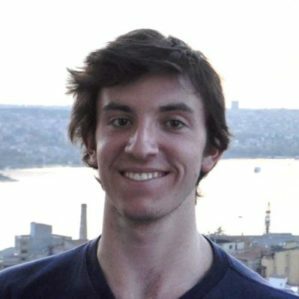 Through IDDEAS, he hopes to learn more about academic and career opportunities within applied economics. He previously worked with the Center for Economic Research in Pakistan on the Property Tax Experiment. There, he helped design and implement a series of human resources reforms to incentivize and improve tax collection. In the longer term, he hopes to explore issues in financial markets and the microeconomics of economic development within emerging economies. 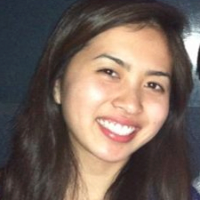 Helen is a Health and Societies major in the College of Arts and Sciences from Milwaukee, WI. Helen applied to IDDEAS because she has been thinking more recently about her future plans and is seriously considering delving into research. She’d like to learn more about the different paths people took in order to pursue their PhDs, the kind of research they’re conducting and the atmospheres in which they are surrounded in the day to day. Is it a supportive environment? Are there mentors? Are there opportunities to work with and learn from your peers? Jay is currently an Economics and Computer Science major at Georgetown University. 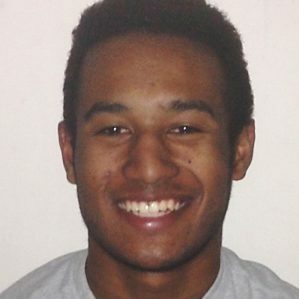 Originally from Santa Monica, CA, Jay applied to IDDEAS because he has always wanted to pursue a doctorate. The ability to specialize in a specific field has always been a goal of his and something that he believes would bring the best out of him. Since Jay’s interests lie in Statistics, Economics, and Computer Science, a doctorate in Statistic at Wharton with their breadth of staff would allow him the flexibility to study across his interests. Working with the best professors in the world, such as Francis Diebold or Michael Kearns, who work in fields dealing with econometrics and machine learning, fields that are cross-sectional in nature, would be a blessing. From recreational reading to the research projects Jay pursues, academics have become a true passion of his. Participating in IDDEAS will allow Jay to truly understand what it takes to achieve his goals. Talking to professors and other Ph.D. students will be incredibly informative. 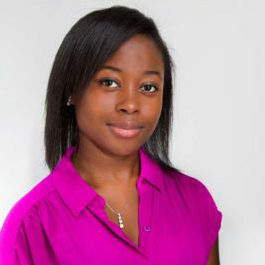 Sade Snowden-Akintunde is currently a senior studying management at New York University’s Stern School of Business. Born and raised in Chicago, she is extremely excited to participate in the IDDEAS Program and even more excited to continue to explore the Northeast region. She aims to pursue a PhD in Strategy in the coming years and has previously assisted in research pertaining marketing, brand strategy, corporate strategy as they relate to human experiences and/or political climates. For her own research, she would like to delve into understanding the relationship between culture and business strategy within the technology, innovation, and entertainment industries. 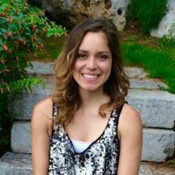 Jennifer is a junior from Dunwoody, Georgia majoring in accounting and international business with a certificate in personal and organizational leadership at the University of Georgia’s Terry College of Business. As a Center for Undergraduate Research Opportunities Honors Scholar, she has conducted research with UGA’s Department of Infectious Diseases, the J.M. Tull School of Accounting, and the Carl Vinson Institute of Government. 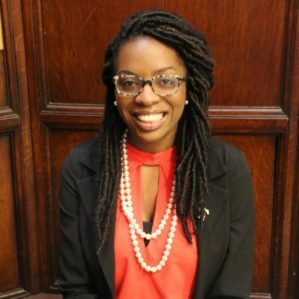 At UGA, she is also executive director of ServeUGA, junior coordinator of the Terry Women’s Initiative, and a Leonard Leadership Scholar. This past summer, she interned at the Securities and Exchange Commission headquarters in Washington DC. She is considering pursuing a doctoral degree in accounting and is excited to attend IDDEAS to gain insight into entering business academia from one of the top business schools in the nation. Temilayo Butler is a senior International Business Major, Finance Minor from West Orange, New Jersey attending Howard University. She is a part of the School of Business Executive Leadership Honors Program and Beta Gamma Sigma Honors Society. She has a passion for microfinance and economic development, and hopes to attain a doctoral degree in finance. She wants to conduct research on sustainable business models for microfinance institutions and teach at a University. She hopes to gain insight into the life of a doctoral candidate at Wharton through the IDDEAS program, and learn what she may need to do. Jeffrey is a sophomore from San Jose, California, studying Mathematical Economics. He is interested in economics research, particularly in the field of behavioral economics, and is considering pursing graduate studies in the field. Through IDDEAS, he hopes to learn more about the research opportunities in economics, statistics, and decision processes within a business PhD program. 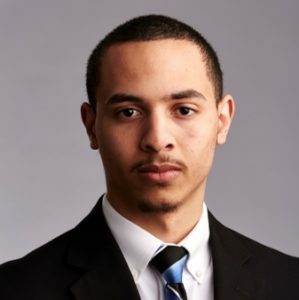 A native of Baltimore, MD, Taylor is currently a senior at Loyola University Maryland, where he is studying Business Economics and Information Systems. Taylor has always loved the collaborative spirit that permeates throughout an academic institution, and has realized his desire to ultimately return to a career in teaching. 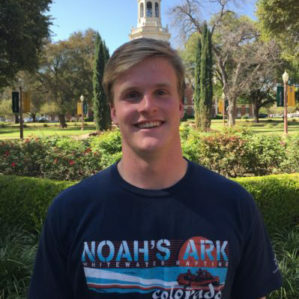 Thus, over the last 3 semesters of his undergraduate years, Taylor has been trying to learn more about the type of research and instruction opportunities available in the areas of business and commerce, and he is hoping that IDDEAS can help him gain clarity regarding these opportunities. Logan is from Henderson, NV and recently received a BS in Business Strategy from Brigham Young University in Provo, Utah. He has been working for a Fortune 200 healthcare company for the past six months, and has decided to pursue a doctoral degree in business strategy with the goal of being admitted (and later on placed) at a top research and teaching institution. His experience in industry has taught him several things about himself–one of the most important realizations is that he enjoys pursuing answers to broad questions, both in terms of scope and impact. Logan feels drawn to the academic study of business, and hopes to use his experience at Wharton IDDEAS to increase his understanding of it. 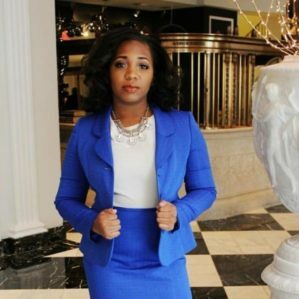 Kayla is a current junior at the University of Pennsylvania’s Wharton School of Business where she studies Operations, Information and Decisions on a Decision Science track. Kayla is originally from Columbus, Ohio. In completing the program, she hopes to gain confidence in her academic pursuits and research capabilities. Kayla wants to know how to tackle current social issues effectively. She wants to know how to collect reliable data and improve her investigative skills. She seeks to develop a strong support system so that upon matriculating into graduate school, she has a plethora of resources at her fingertips. Kayla wants to do research on how the intersectionality of race and gender affect decision-making and how we can use that research to affect public policy. 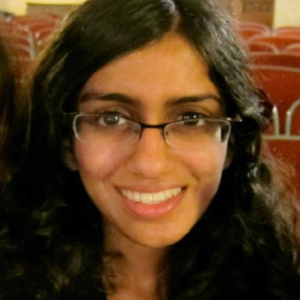 Ritika is really curious about decision-making, and how we can optimize decision-making in our personal lives, companies, and countries with incomplete information. 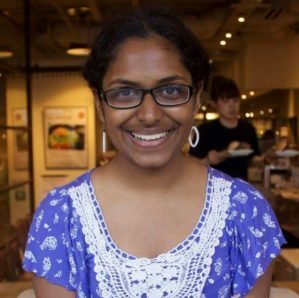 Ritika is originally from Kerala, India but spent most of her life growing up outside the country and now is a junior at the University of Pennsylvania studying International Studies and Business. Ritika is really excited to participate in IDDEAS and hopes it gives her a better sense of whether a business PhD program would be a good fit. Alex is a Management student and Teaching/Research assistant at Concordia University in Montreal. 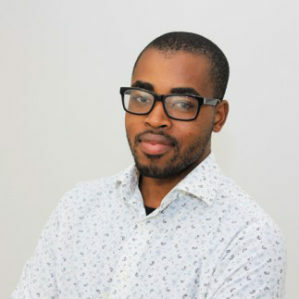 Alex also works full-time as a Manager of Social Media and e-mail customer service at National Bank of Canada. Although he has industry experience in management, he knows his true calling is in academia, through research in Organization theory. 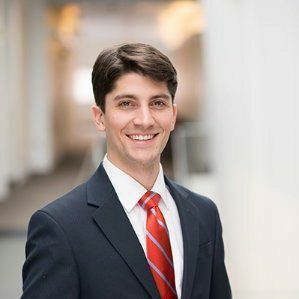 More specifically, Alex’s career ambition is to further the knowledge of the business community by researching topics such as restructuring, institutionalism theory, and corporate social responsibility. By attending IDDEAS, he hopes to get insights about the research interests of the faculty, and to obtain more information about the daily life of a doctoral student, as well as advice to strengthen his applicant’s file. This program will give Alex the tools to make his career ambitions more realistic. 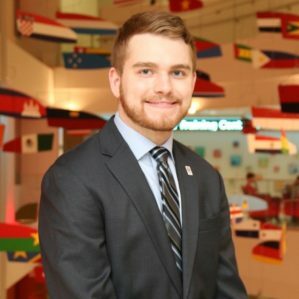 Eric is a senior at the Fox School of Business at Temple University graduating this May with a degree in Management Information Systems. Originally from Collegeville, PA, he lived in the Philadelphia region his entire life. 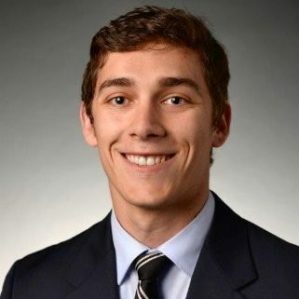 After graduation, Eric will be working for PricewaterhouseCoopers in the Advanced Risk and Compliance Analytics (ARCA) practice in Philadelphia. 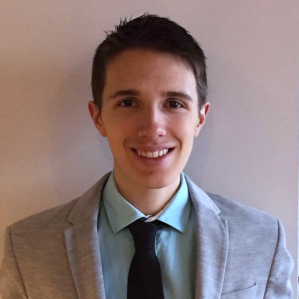 Eric began considering a career in business academia and research after a positive undergraduate research experience last summer, when he coauthored a research paper, “Tweets, Retweets and the Brand Positioning of the 2016 U.S. Presidential Candidates.” This experience culminated with a presentation of the paper at the 2017 Winter American Marketing Association Conference this February. While Eric is entering the consulting industry following graduation, he is considering pursuing a doctorate later on. Eric hopes IDDEAS will help determine whether business research is his ideal career path. Arianna majored in Psychology and minored in Nutrition. She was born in Lima, Peru and moved to Tampa, Florida at the age of seven. Arianna continues to live in Tampa. She intends to pursue a postgraduate education that would be a natural continuation of her undergraduate research in psychology and behavioral economics. She could see her professional life leading her to various directions, from utilizing her research to help the health realm through improving health behaviors to utilizing her research to help the business realm by helping decision making on an organizational level. 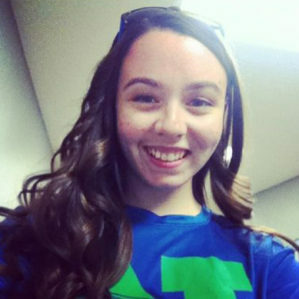 April is from North East, PA. She concentrated in Statistics with a minor in Mathematics. 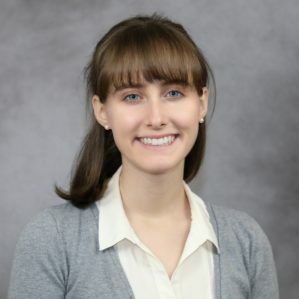 Upon graduation, April began working as a Research Analyst at the Federal Reserve Bank of New York and will eventually apply for graduate school. 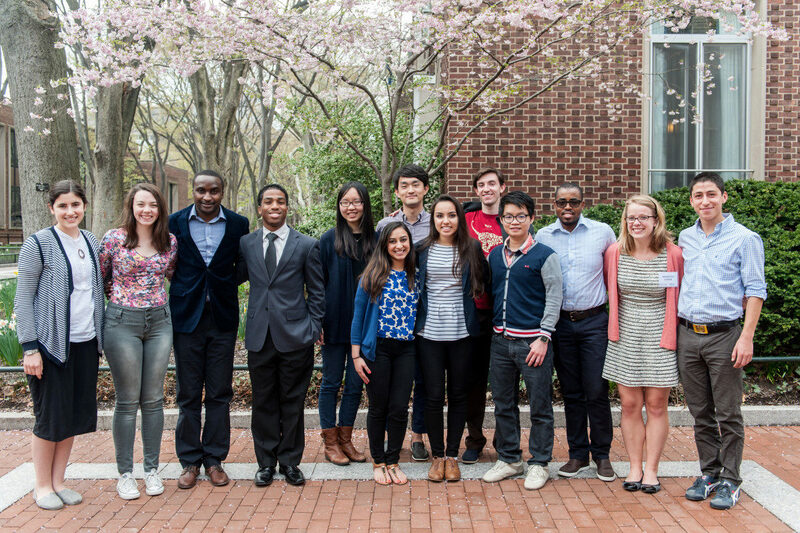 During IDDEAS, April explored various interests in Finance, Economics, and Statistics and learned about the different doctoral programs Wharton has to offer in these fields. Graduated from Colorado State University. Sherry transferred from Shanghai to Colorado because of her passion of exploring various perspectives and meeting with different people. Growing up in an academic family, Sherry witnessed the huge influence of mentors on students, and has always been fond of the academic atmosphere where she can dive into intellectually intriguing and empirically meaningful areas. Her research experience has made the long-term goal of working as a professor clearer, as she found herself fully immersed in the intellectual challenge and learning curve associated with the dynamic process of interpreting real business phenomena. 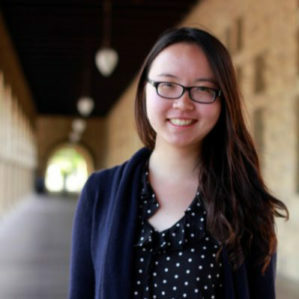 Therefore, Sherry applied for IDDEAS, with the hope to gain valuable advice from renowned faulty and current students at Wharton and have meaningful conversations with peers with similar career goals. Catherine studied Management and East Asian Languages and Cultures. She grew up in Waukegan, Illinois, and started traveling in High school. So far she has been to 9 countries and 4 continents, but she has never traveled in Europe. Catherine applied to IDDEAS because she is interested in the World’s diversifying work forces, and hopes to meet people who are talking about diversity and its real world outcomes. She would like to get her PhD, hopefully studying expat leaders and how leadership works when you are not part of the in-group. 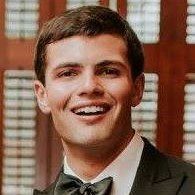 Wesley is from Orlando, Florida and studies at Baylor University in Waco, Texas. He is majoring in accounting and finance. He applied to IDDEAS to learn more about doctorate level research and to engage with like-minded students. Upon conclusion of IDDEAS, Wesley found a more thorough understanding of the world of graduate level research. Stephanie studied in economics and statistics. She also took classes in sociology, anthropology and political science to complement her economics degree. 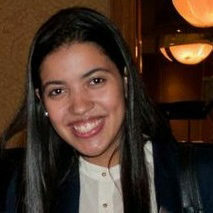 Stephanie was born and raised in São Paulo, Brazil. She has travelled to four continents and to countries all across the development spectrum. She is interested in development economics, more specifically in growth economics and public-private partnerships. Stephanie is interested in pursuing a doctoral degree in economics, and would like to learn more about research topics, graduate programs and processes, and career possibilities for after graduate school. Stephanie would be the first in her family to pursue a graduate degree, so IDDEAS was also an opportunity network with professors and current graduate students. Makkah is working on a Bachelors of Arts degree in Psychology. Her many campus roles included Keystone Honors Academy member, The National Society of Leadership and Success Executive Board Officer, the Psychology Club President, the Pre-Law Society Treasurer, and as a Head Resident Advisor for the two honors residence halls. She hopes to further develop as a professional in ethics, legal and professional studies. Makkah has been accepted in graduate school programs at Temple University and Morgan State University. She is excited to continue her education on the Masters level moving toward the doctorate level in a few years. Elizabeth majors in Economics and Chinese. She grew up in Georgia but went to high school outside of Boston. 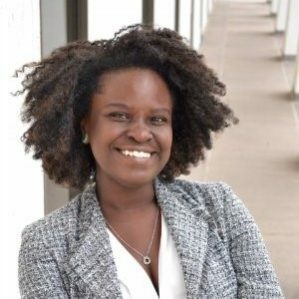 Elizabeth applied to IDDEAS because although she will be working in investment banking after graduation, she has always been interested in pursuing a doctoral program down the road. 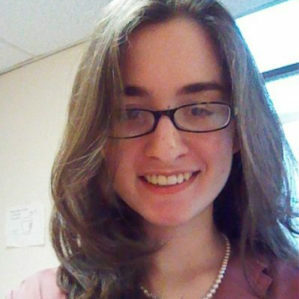 Elizabeth started getting involved with research her freshman year as an assistant, and that passion for the practical application of theory has persisted to this day. She gained a better understanding of the preparation and skills needed to successfully apply for and complete a doctoral program at Wharton in addition to developing a broader understanding of the different specialization areas and where she might fit in. Nia is a Management Information Systems major at Georgia Gwinnett College. She originally had no idea what she wanted to major in, settling for general business to fill the slot. But after 3 1/2 years of being general business, she began to despair of ever finding something that she was passionate about. Enter Dr. Napier. Dr. Napier is a professor at Nia’s college, and from the moment she entered her MIS class, she knew that she’d found her niche. Dr. Napier was the one who began to show Nia that MIS can be about solving the mysteries that plague businesses, and helping find the right combination of tactics and strategies for their optimum growth. Never had any other major offering met so many of her intrinsic motivations. Nia learned more about the doctoral program and experienced the research potential available in the field. Peter majored in Finance and minored in Math. 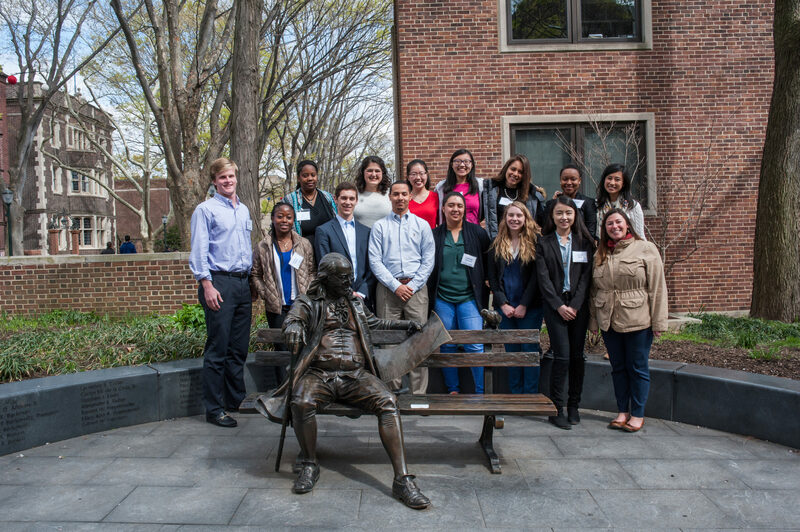 Peter met fellow students interested in pursuing social justice through careers in academia through IDDEAS. Peter’s potential research areas of interest include empirical corporate finance, behavioral finance, and financial literacy. He currently lives in Baltimore and is employed by a boutique investment bank. McKenzie majored in International Business. He has been involved in various research projects focused on change initiatives, education and workplace diversity. McKenzie is currently working on a research project that focuses on business stereotypes. He is hoping to pursue a master’s degree in I/O psychology as well as a PhD. in Human Resources/Organizational Behavior on his way to becoming a college professor. 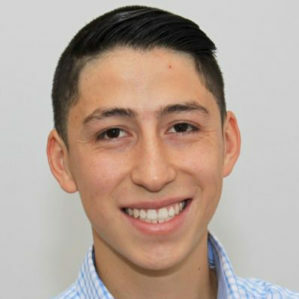 Sergio graduated from the University of New Mexico studying Health, Medicine & Human Values–an interdisciplinary degree drawing form Math & Statistics, Physical & Natural Sciences, and Social Sciences–with minors in Chicana & Chicano Studies and Navajo Language & Linguistics. Sergio is originally from rural northern New Mexico and has deep roots in the indo-hispano community that predates colonization of the area by the United States and Spanish empires. Firsthand experience with geographic and racial disparities in health care motivated him to become a professional academic and health services researcher. He hopes to one day create and lead novel programs as well as implement sound health policy that is adaptive and applicable to a variety of demographic situations with unique needs like those of northern New Mexico. He is currently considering PhDs in Economics or related fields that model complex social systems. Sierra is an Economics major at the University of Kentucky. She is from a small town in the Appalachian region of Kentucky, but hopes to be able to travel and work in other parts of the world. Sierra is a Global Scholar at UK, which peaked her interest in international business. She applied to IDDEAS because she wanted to learn more about the research aspect of business both on a global and domestic scale. 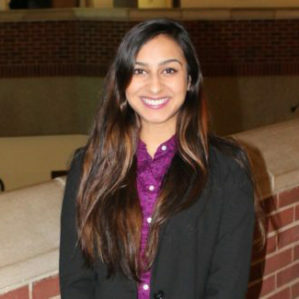 Anmol studied at University of Louisville double majoring in Finance and Economics and minoring in Biology. 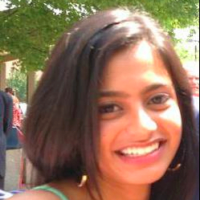 Additionally, Anmol interned at Humana in the Healthcare Economics department. She was involved in the installation process of the first professional business fraternity on campus as well as chartering a student chapter of the Financial Management Association (FMA). 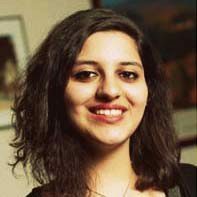 Anmol chose to apply to IDDEAS to help her pursue a doctorate in Healthcare Economics. Anmol aims to complete a dissertation as a stepping stone towards future projects where she will design systems and processes and create protocol to assist healthcare organizations and hospitals in managing their financial and management systems more competently and cost-effectively. By participating in IDDEAS, Anmol learned about the Wharton’s doctorate program and discussed possible dissertation topics with professors. Kevin studies at Paul Quinn College in Dallas, Texas, dual majoring in Business and Pre-Law. He was born and raised in Pittsburgh, PA where he graduated from Penn Hills Senior High School. 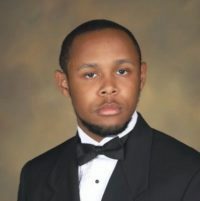 He excelled both professionally, securing an internship at a law firm, as well as academically, graduating early and at the top of his class. 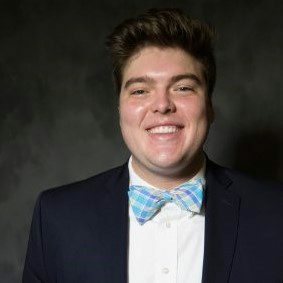 Recently, during his first semester in college he won $20,000 for his school by creating and pitching a business plan to over 100 CEO’s and Business leaders during a fast pitch competition. Kevin applied to IDDEAS to assist him throughout my career. Kelly McClure is a native of Davenport, Florida and graduated from Cornell University. She studied Industrial and Labor Relations with a concentration in international and comparative labor policy. A McNair Scholar, Kelly plans to pursue a PhD in Economics with a focus on labor and employment issues. The IDDEAS program provided her with a better understanding of careers in business research and academia. Barney is an accounting major at Huston-Tillotson University in Austin, Texas. He was born and raised in Harare, Zimbabwe. Barney’s passion for learning and his intellectual curiosity motivated himto apply to IDDEAS. Participating in the program allowed him to learn more about the world of doctoral studies. Barney gained invaluable knowledge from the established professors and current PhD students. Barney’s career goal is be in a position where he will be able to provide operational and strategic plans for a multitude of startup companies, and underperforming businesses to impact economies around the globe. 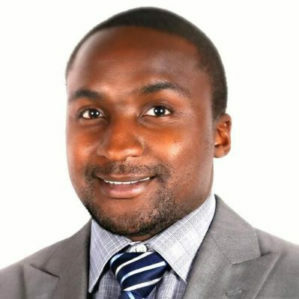 Siyabonga graduated an Economics major from Macalester College in Minnesota, originally from Hluti, Swaziland. He is passionately interested in leveraging econometric estimation methods in generating evidence that opens minds and shapes decisions in a range of industries and geographies. 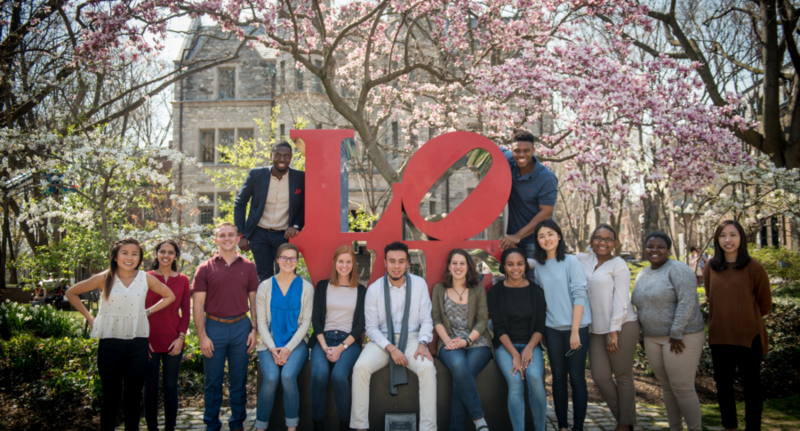 Through the IDDEAS program he connected with graduate students and faculty at Wharton, learned more about doctoral research, and leveraged their networks to set in motion his career in academia. 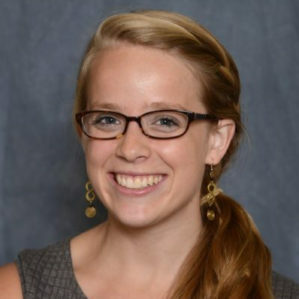 Meredith was an Economics major at the University of Georgia, originally from Madison, Wisconsin. She is most interested in health, labor, and education economics, but also likes computer science, math, statistics, and Russian literature. She spent the last year doing economics research on off-label prescriptions, and applied to the IDDEAS program to learn more about what it means to be a researcher and an educator. Meredith also love to travel, dance, lead a Girl Scout troop of rambunctious middle schoolers, and DJ at her campus radio station. Fred studied Psychology at Princeton. He is originally from New York City. Fred hopes to someday work in the intersection of psychology and public health, using what we know about behavior and decision making to design effective policies and interventions. Fred is interested in gaining some exposure to research in business and management, and met people working in the field at IDDEAS. Rebecca grew up in Toronto, Canada. She studied Psychology at the University of Pennsylvania. Rebecca applied to IDDEAS out of interest in studying Management. Specifically, she would like to pursue a career that integrates Organizational Behavior and Positive Psychology. As a result, Rebecca found the program to be an excellent opportunity to explore the option of getting a PhD in the field. IDDEAS helped her clarify how to best achieve her academic and career goals. Daniel majored in Economics and Math. 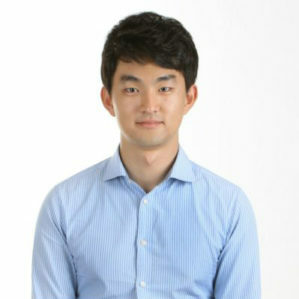 He is interested in going to graduate school in either business economics or finance. During IDDEAS, Daniel built connections with faculty members, graduate students, and fellow undergraduate students and got a better picture of what it is like to pursue research in business. For research interests, Daniel is interested in the interaction of macroeconomics, finance and political economy and has conducted research on China’s financial policies and the role of macroeconomic thought on central bank policies. Minho studied economics at Swarthmore College where he was also a Lang Opportunity Scholar. Minho is passionate about strategic management and business solutions for the economic and political development, hoping to pursue applied research in this space in the future. He took a gap year in 2013 to work for a social enterprise start-up providing affordable primary care for rural Indians and later joined a social investor in Mumbai. He also runs a student organization based in Vietnam dedicated to mobilizing public support for Vietnamese orphan children which he cofounded in 2009, when his interest in management and development work also began. Originally from China, Tina studied psychology and economics, and she would like to pursue psychology-related topics in the future. Tina started her research journey as a research assistant in the OPIM Department in her sophomore year. Most recently, she worked on intervention research with Geoffrey Cohen at Stanford last summer, and an independent study with the Good Judgment Project. By attending IDDEAS, Tina learned how professors & doctoral students came to their research interest and the real world impact of their research. 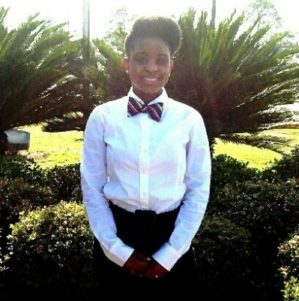 Alacia attended as a junior at Savannah State University majoring in Accounting. Her mentor and co-author of her first research paper for publication informed Alacia about this program and she thought it would be a great place to learn about doctoral-level research and becoming a professor in the future. Also, Alacia want to learn the realities of pursuing Statistics for her next business degree. The one Statistics class she had taken was the only course she had since starting college that made her not only work hard to earn her grade, but that she also thoroughly enjoyed. 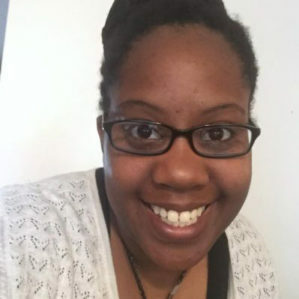 In terms of academic and professional goals, Alacia wants to get a doctorate, become a business professor, and work to encourage diversification of university facilities. 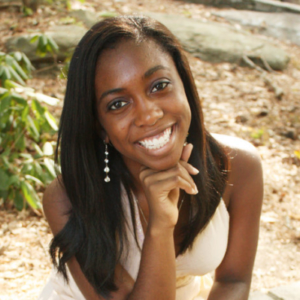 Alyssa Hester is a Biomedical Engineering major and Engineering Business minor at the University of Virginia. 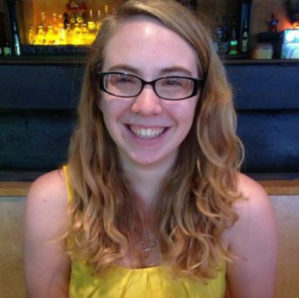 She was an Undergraduate Research Assistant at the Behavioral Research Lab at Darden (BRAD). 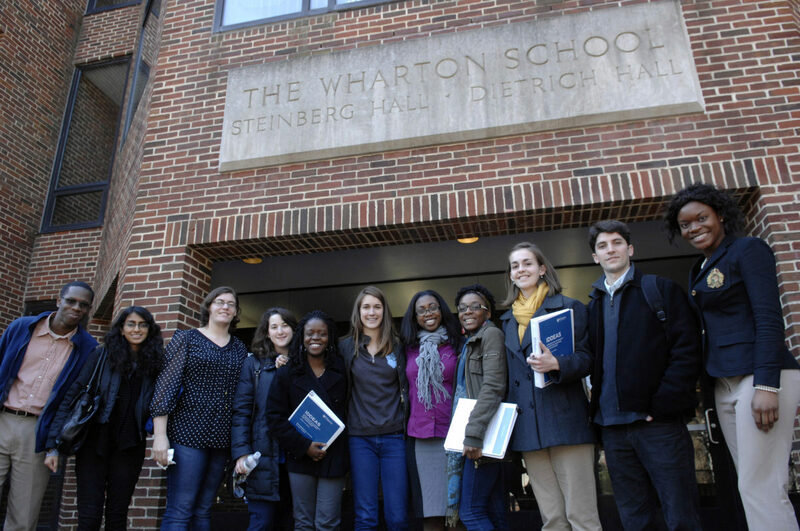 As an IDDEAS participant, she hoped to learn more about doctoral research at Wharton and learn about the application process. Amy studied at University of Rochester majoring in financial economics honors and statistics. She wanted to learn more about the doctoral program in general and about the program at University of Pennsylvania. Amy hopes to earn a doctoral degree in economics or finance to ultimately provide back to my tribal community. 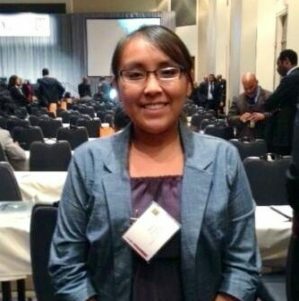 She is highly interested in exploring mirofinance for smaller communities and finding other methods to help stimulate small communities like her reservation. 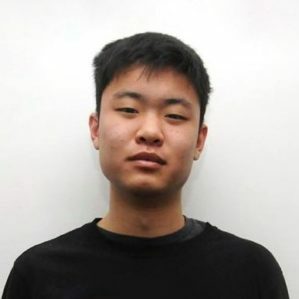 Chi Zhang was a junior at Swarthmore College with double majors in economics and mathematics. As one who is interested in research, she was excited to be a part of the IDDEAS program to get exposed to business research and to learn from the people who share the same interests. As an international student from China, she was always fascinated by exploring different cultures and hoped to gain a global perspective. 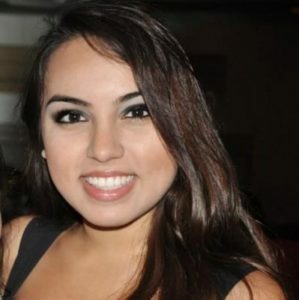 Cristal was a marketing and accounting student at University of Puerto Rico, Río Piedras Campus. Her hometown is San Juan, Puerto Rico’s capital. Cristal’s academic goals are first, finish her bachelor degree with double majors in Accounting and Marketing. In addition, completing her undergraduate thesis about neuromarketing, which is a requirement of the Honors Program of which she was part. Then, she plans to pursue her doctoral degree in marketing with an emphasis on consumer behavior and decision making. IDDEAS was a good start to develop valuable learning experience about marketing research at doctoral-level. Furthermore, IDDEAS was a great opportunity to network with current doctoral students and faculty that advised Cristal about their experiences at Wharton. 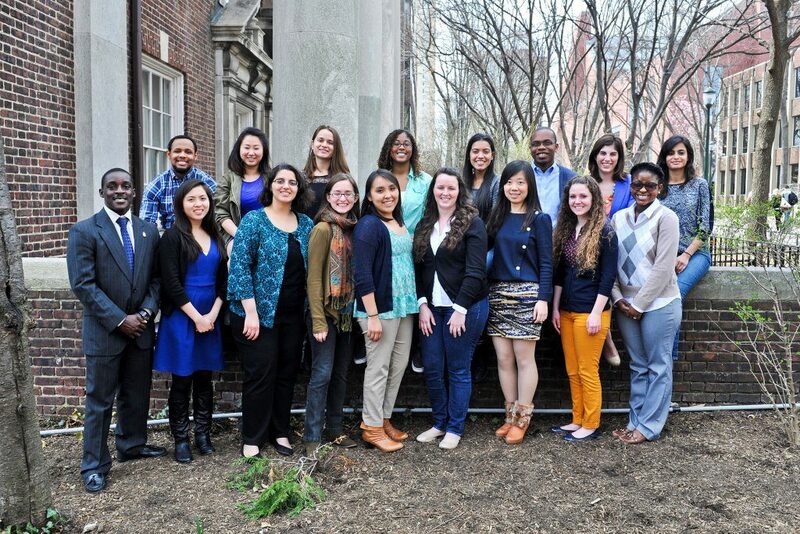 The result of this experience will bring future doctoral education and research mentors. At Harvard Elena studied psychology and economics. After her sophomore year, Elena spent a year abroad in Buenos Aires. As a research assistant at a neuroscience lab in Argentina, she became fascinated with research. Upon her return to Harvard, Elena worked every semester in a lab at Harvard Business School. She hopes to continue researching consumer behavior, ethics, and marketing next year. 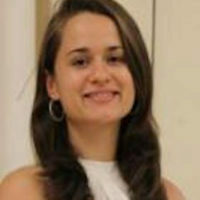 Elena plans to either pursue a Master’s program in the UK or conduct independent research in Brazil. She was also on the varsity fencing team at Harvard and has been practicing this sport since high school. Eric Jackman was a junior psychology undergraduate at Saint Joseph’s University when he applied. He was born in Philadelphia and attended high school at Saint Joseph’s Prep. 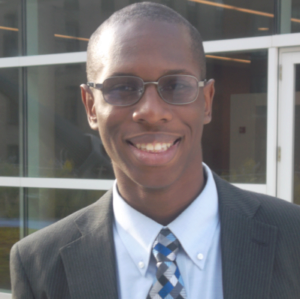 Eric was influenced to apply to the IDDEAS program by Ms. Jennifer Dessus and Dr. Brent Smith. He hoped to gain a more enlightened perspective on how he could contribute to his community. 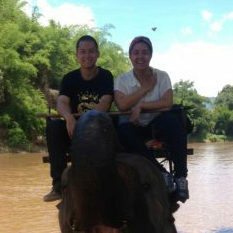 Eric also hoped to develop his skills to become a more effective leader and role model once the program was complete. 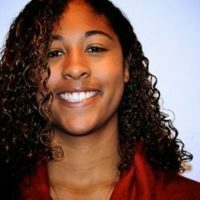 Hillary Cooper attended IDDEAS as a second-year graduate student in the Flex MBA Program at The College of William and Mary in Williamsburg, VA. She also completed her BBA degree at William and Mary in 2010 with a major in Process Management and Consulting and minor in Mathematics. Hillary is originally from Newport News, VA and currently resides in Virginia Beach where she works full-time as a Process Improvement Coordinator in the Government Business Division of WellPoint, specifically supporting provider lifecycle management processes. Hillary hopes to pursue doctoral studies in the field of healthcare operations upon completion of her MBA degree in the spring of 2015 and has specific research interests around the operational impacts of health care reform on the managed care industry. It is Hillary’s ultimate goal to be able to contribute new ideas and perspectives to health care reform and the health insurance industry as a professor at a research university. Kimberly studied Finance, Management, and Statistics at Wharton, with a minor in History. She is interested in conducting research in corporate strategy, specifically post-merger integration. She plans to gain some exposure to corporate strategy problems with a post-graduate stint in management consulting. Linda graduated from Princeton’s Economics department from Basking Ridge, NJ. By attending IDDEAS, she gained a better understanding of cutting-edge research and a sense of whether graduate school is right for her. 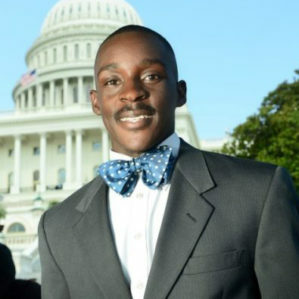 Maurice Jackson attended Florida A&M University where he served in several organizations including the Student Government Association. He has a deep passion for investing in others, especially as it pertains to equity in economic opportunity and education. 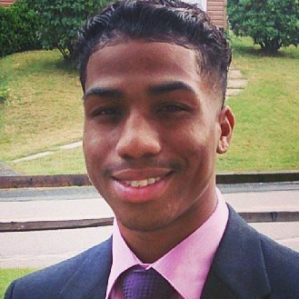 Following graduation Maurice plans to teach in an inner city school for a year and then transition into a career as an analyst with the Federal Government. After working within the government he plans to establish a series of academic business ventures in the states and expand internationally. By attending IDDEAS Maurice futher explored the opportunities provided for doctoral research and how it may fit into his future plans. 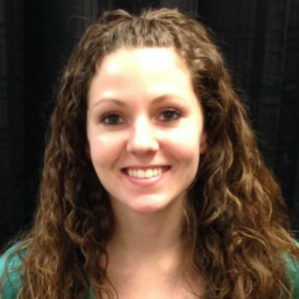 Megan was born and raised in Louisville, KY and attended the University of Louisville. Her majors were finance, accounting, and economics, and she was also a math minor. She plans to graduate in May 2015 and then go on to pursue a PhD in economics. Megan applied to IDDEAS in hopes of getting some insight into what pursuing a graduate degree is like. She also loves to learn and was hoping to be a part of some interesting discussions. 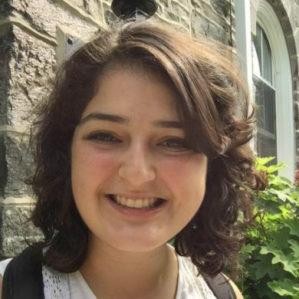 Melissa was a psychology major at Swarthmore College interested in applying psychological and other behavioral science principles to social policy issues. 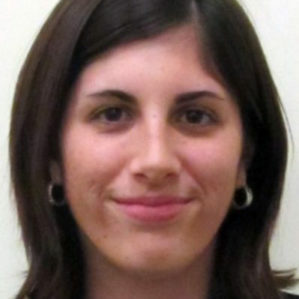 She was also a staff writer for The Psych Report, a psych news site. Melissa hopes to work in behavioral research for a few years before going on to graduate school. She learned about both research careers and doctoral programs while at the IDDEAS program. Ola studied Economics at the Wharton School and International Studies in the School of Arts & Sciences. Having grown up in the Middle East, many of the research questions she is interested in are tied to understanding economic development, particularly through the lens of gender, education, and transnational migration. Through Wharton’s Social Impact Research Experience grant, Ola had the opportunity to explore the impact of income-generating projects on women’s empowerment in rural Morocco. 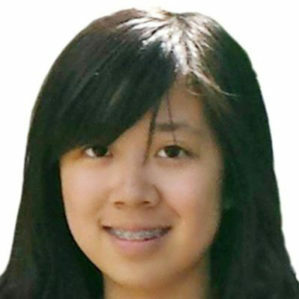 This reaffirmed her interest in pursuing a career in academia. By attending IDDEAS, Ola met a community of intellectuals, driven by the need to pursue research in an attempt to better the human condition. Michael Ijeh graduated a Finance Major and Economics Minor from Texas Tech University. From Houston, TX, he always wanted to learn more about how the financial decisions of major companies within a city affect the economy as a whole. 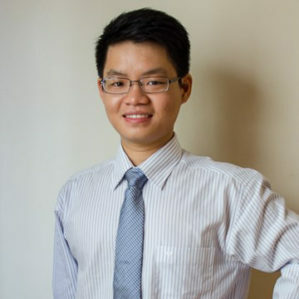 He has a deep passion for economics and the financial markets, and wants to learn about the many ways that they are connected. At IDDEAS, Michael learned whether or not it is possible to use different econometric concepts to bridge the gap between the two. Also, since he plans on pursuing the CFA charter, Michael wanted to see if he could combine the ideas from professional investors with the different statistical methods used in academia to research different financial topics. Paxton earned a Business Economics and Analytics double degree at the University of Kentucky. She has started studies for a Masters of Arts in Diplomacy and International Commerce at the Patterson School at the University of Kentucky. After gaining a few years of work experience after completion of her Masters, she will pursue a graduate degree in Economics, with a focus on economic development. IDDEAS helped Paxton have a better idea of what to expect from doctoral programs in the future. Hailing from Dallas, Tanya studied statistics and finance with a minor in economics. She applied to IDDEAS because she would like to pursue a Ph.D in the future, potentially in accounting. Outside academics, she was a member of the Innovation Fund, a seed stage micro student-run VC at Penn. She also loves ballet. Julianne majored in Psychology and Sociology with a minor in Mathematics. 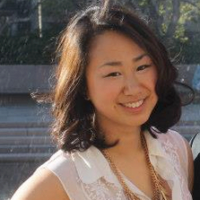 Julianne applied to IDDEAS because of her strong interest in research and statistics. Her academic goals are to get a PhD in Educational Psychology and her professional goals are to teach at the university level. Patrick studied economics and political science. 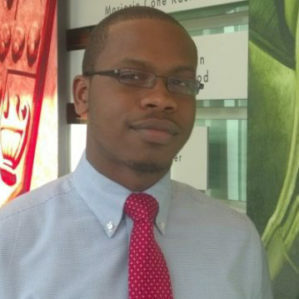 He is originally from Lancaster, PA. Patrick applied to IDDEAS to eventually earn his Ph.D in economics and would like to learn more about graduate programs offered in Philadelphia. Patrick has been working as an analyst in the financial services industry with hopes of returning to school. He is also an avid soccer player and enjoy watching European and international soccer. 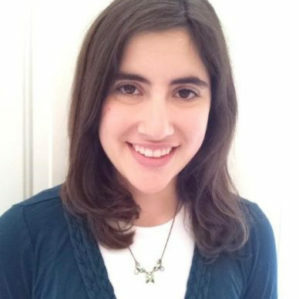 Jacqueline Rifkin graduated from the University of Pennsylvania in 2011 with a BA in Psychology. 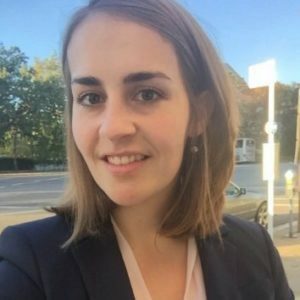 Jaci currently works in higher education administration at Boston University’s College of Arts and Sciences, and she is also a Research Associate at Harvard Business School, exploring how consumers perceive and value unique experiences. She hopes to enter a PhD program in Marketing; in the meantime, she is excited to learn as much as possible about the field of business research. 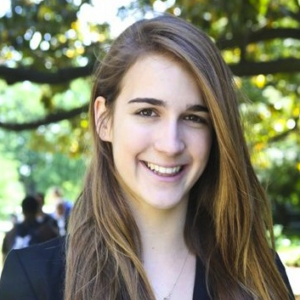 Hannah Sieber graduated from Duke University having studied Chinese and International Comparative Studies. Originally from Boston, Hannah’s passion for China began in high school when she first studied abroad in Beijing. 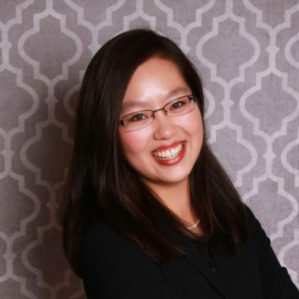 Her studies have led her to the intersection of business and cultural studies; she is currently researching the role of human capital on China’s 2006 policies focused on stimulating “indigenous innovation”. Wharton’s IDDEAS provided the opportunity to learn about pursuing this research at the PhD level and meet distinguished faculty, many of whom specialize in China. In the future, Hannah would love to run a consulting business to help Chinese firms enter the Western market. But for now, in her free time she enjoys rock climbing, traveling, and brainstorming new ideas! 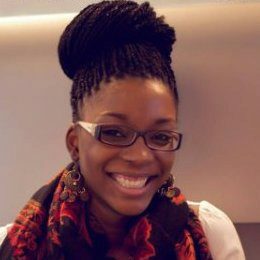 Imani was a computer science major at the University of Pittsburgh. She is originally from Germantown, Maryland. 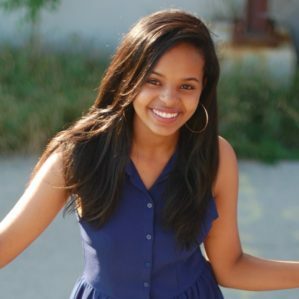 Imani applied to IDDEAS in order to explore her options in academic business research. At IDDEAS she found career opportunities that involve the areas of information management & decision processes and statistics. 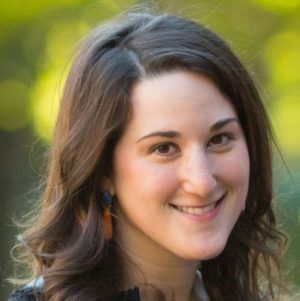 Andi graduated from Swarthmore College from Charlottesville, VA. She was a Math major, with Engineering and Public Policy minors. She completed a senior thesis on hydraulic fracturing policy and hopes to pursue her interests in environmental and energy policy research after graduation. She is considering attending a doctorate program in Operations Research or Public Economics in a few years and learned about doctoral research opportunities and career paths at IDDEAS. Pearl graduated from the University of Pittsburgh with a Natural Sciences major. She is from Houston, Texas. Pearl applied to the IDDEAS program because of her strong interest in business and research. 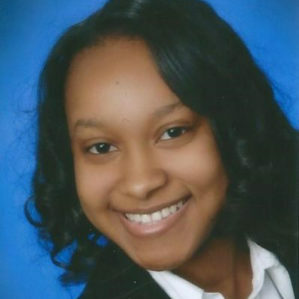 Her professional goal is to find or create a career where she can combine her interest in health sciences and business. 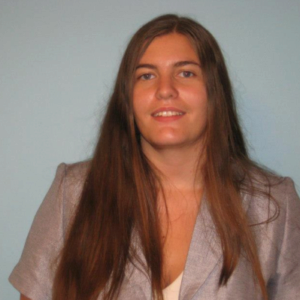 Gaelle obtained a business degree with a concentration in Finance and a minor in economics. 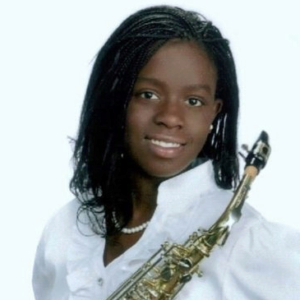 She is from Haiti, and started studying in the U.S from the 8th grade, where she graduated as valedictorian of her class. Gaelle ‘s journey learning English, has often pushed her to work toward education and with youth. She has a professional background working with youth as a teacher, mentor and tutor. Gaelle has not set a clear path for myself in the future. Gaelle could either attend law school or focus in educational law, where she would be able to create/implement much needed reform in the public education system or further her education in Business (master and Phd) with the hope of becoming a professor. Attending IDDEAS, Gaelle was able to network with peers and instructors and learn about the different research opportunities at a Doctoral level that are available in the world of Business.